I was going to post some pictures of the development of the new garden but this guy/gal caught my eye and I couldn't resist. 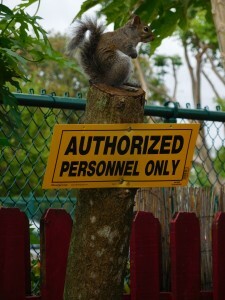 I don't think he/she is authorized for the garden area. In fact, I can pretty much guarantee it. This begged to be posted. 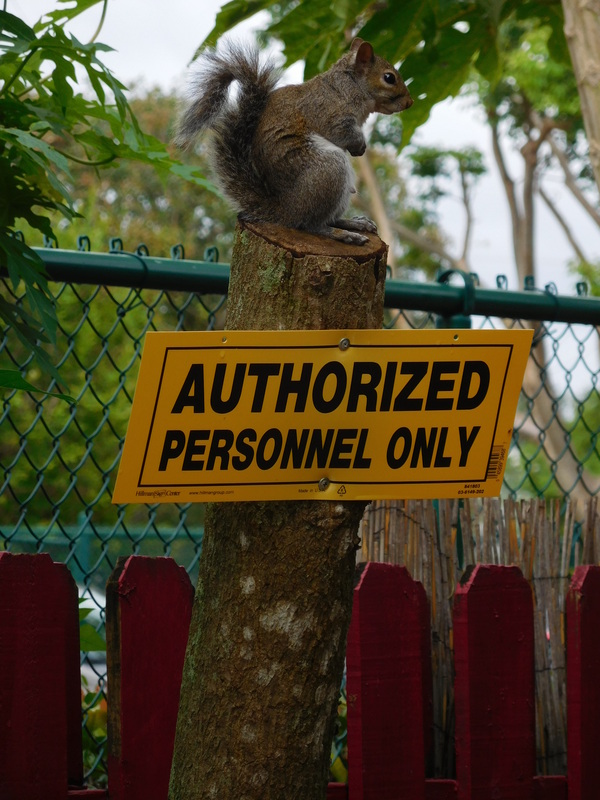 The squirrel even sat there long enough for me to walk across the parking lot to my car and bring back my camera. It was like he was daring someone to challenge his right to sit there. *laughs* He probably thinks he is. I guess he would be the official coconut cleaner. The gentleman that works in the front half of the garden uses coconut shells as planter and learned that if he set them out for a day or two the squirrels would make the holes larger by removing some of the insides.